LEXINGTON The 26th annual Evening with the STARS Gala, November 15, 2014, at the Embassy Suites in Lexington, raised a record amount of more than $100,000 for the Saint Joseph Hospital Foundation, part of KentuckyOne Health. Proceeds from the event are used to further the success of Saint Joseph Hospital’s, Saint Joseph East’s, and Saint Joseph Jessamine’s healthcare initiatives. Others who were recognized at the event, including nominees for the President’s Award for Physician of the Year at Saint Joseph Hospital, were: Jon Bowen, MD, Grant Breazeale, MD, Dermot Halpin, MD, Joshua Huffman, MD, Charles Kennedy, MD, Samer Kseibi, MD, Scott Pierce, MD, John Stewart, MD, and Jeff Weaver, MD. Nominees for the President’s Award for Physician of the Year at Saint Joseph East were: Marta Kenney, MD, Hossam Zohary, MD, and Yasser Zohary, MD. The Evening with the STARS Gala has raised over $1.2 million for projects such as the Patient Family Assistance Fund, nursing scholarships, transportation for cancer patients, and services for the under-served, including screening mammograms for uninsured or underinsured women. Most recently, the Saint Joseph Hospital Foundation provided a portion of the funding for the $1 million expansion of KentuckyOne Health Breast Care at Saint Joseph East. Anderson described mindfulness as “the ability to focus in a receptive, relaxed way on present moment experience.” To give attendees an actual experience of mindfulness, Anderson led participants through a series of simple mindful movements that can be done in a standing or seated position. “Rhythmic movement integrated with rhythmic breathing has been found to have a calming, centering effect, both mentally and physically,” according to Anderson. Anderson led participants through “The Calming Breath Part 1,” which is a 1:2 ratio breath (Inhale to a count of 4 and exhale to a count of 8). “The calming effect comes from extending the length of the exhalation,” explained Anderson. After mentioning conditions for which “The Calming Breath Part 2” might be contraindicated, Anderson then introduced this 1:1:2 ratio breath, which includes breath retention. As an additional resource, Anderson referred participants to podcasts of The Calming Breath available on her website at www.DrJanAnderson.com. Each podcast takes two-to-three minutes, so it makes the calming, centering effect quickly and easily accessible to her clients. Over 500 professionals attended the KCA conference where sessions were designed to strengthen skills, provide new information, and encourage professional development. The KCA is a nonprofit, professional organization having over 1,300 members and is an affiliate of the 40,000 member American Counseling Association. For more information contact Karen Cook, KCA executive director, at karen.cook.kca@gmail.com or 1-800-350-4522. Go Red For Women Luncheon raises funds, awareness for heart disease prevention. Representatives for each company were on-site to answer questions and provide information, including brochures and other materials, on their services. Vendors offered giveaways and drawings for prizes were held at the end of the fair. It was an excellent opportunity to discover new vendors and check with representatives for updates. LOUISVILLE Walk with a Doc is a free, nation-wide, non-profit program for people interested in taking steps for their health. Physicians and other healthcare professionals from KentuckyOne Health answer participants’ questions while walking in a beautiful setting. During the months of December, January, and February, the walks are held indoors at the Mall St. Matthews on Shelbyville Road in Louisville. 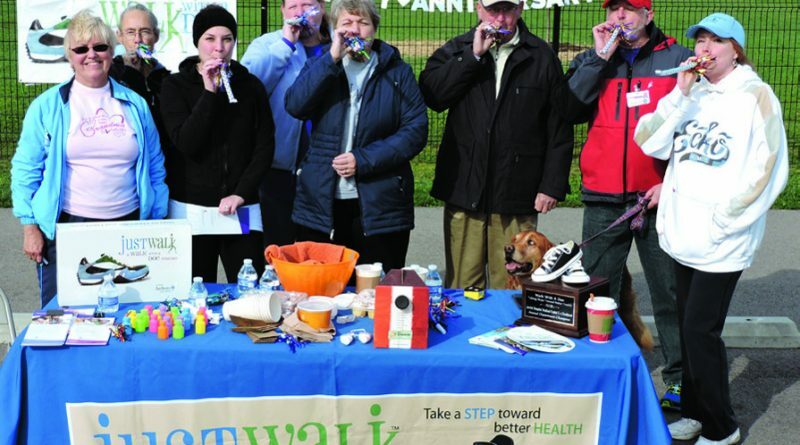 Walk with a Doc is part of KentuckyOne Health’s ongoing efforts to engage people in healthy lifestyle habits that prevent disease and promote wellness. Deborah Ann Ballard, MD, MPH, an internist and integrative medicine specialist, is the physician champion for the Walk with a Doc program in Louisville. As an integrative medicine specialist, Ballard encourages lifestyle strategies such as diet, exercise, stress reduction, and toxin avoidance to treat or reverse many common conditions such as type 2 diabetes, hypertension, and coronary artery disease. KentuckyOne Health physicians affiliated with Flaget Memorial Hospital walk through historic downtown Bardstown with participants there. 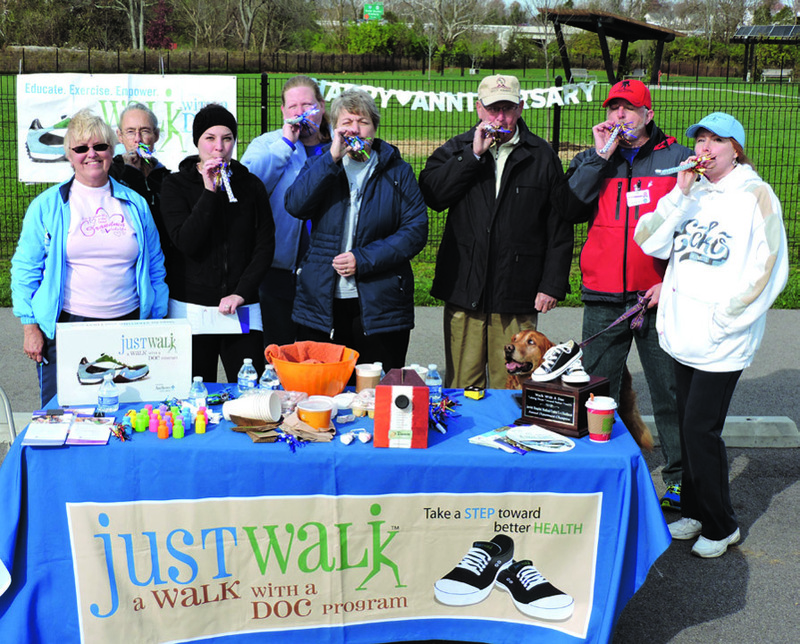 More information on other locations of the Walk with a Doc program is available at www.walkwithadoc.org/our-locations/louisville.